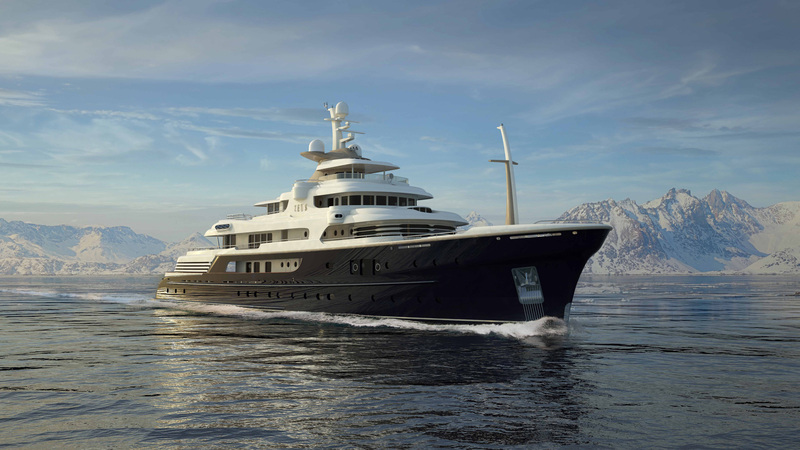 PROJECT ZEUS was initiated in April 2012, when the client asked us to draw preliminary exterior designs for a 57-metre motoryacht—which ultimately grew to 63.3 metres. The interior makes full use of six decks, five of which are served by a central spiral staircase with a skylight. The Tank Deck contains service and technical areas, plus ample stowage. 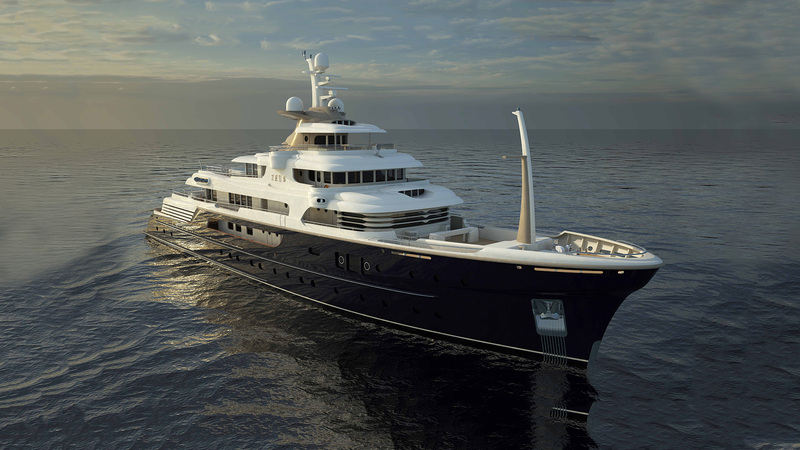 The Lower Deck contains a beach club abaft the engine room, and five guest suites (including a full-beam VIP suite), and crew quarters forward. 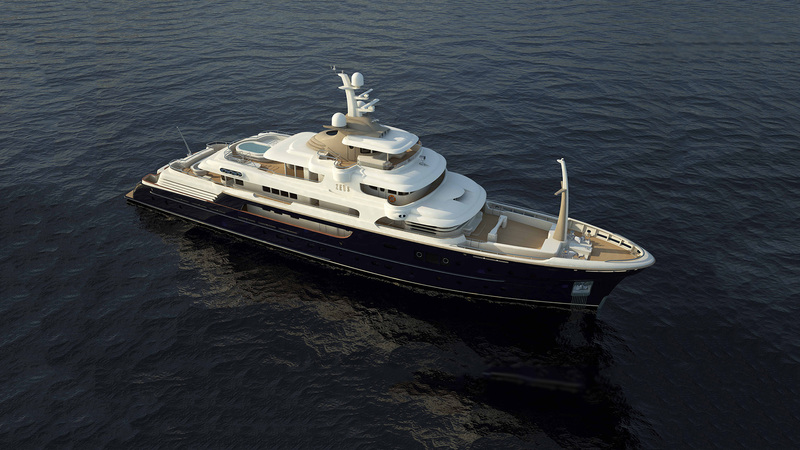 The owner’s full-beam suite shares the Main Deck with hotel facilities, captain’s quarters, and crew mess. The solution to the tender stowage on the Main Deck also led to the moving of the formal saloon, usually on the Main Deck, to the Upper Deck, with convenient indoor/outdoor dining served by a large pantry, and a unique Master Office/Lounge forward. The Bridge Deck, in addition to the wheelhouse, features a protected outside gym, open-air bar, sunbathing area, and a large whirlpool bath. 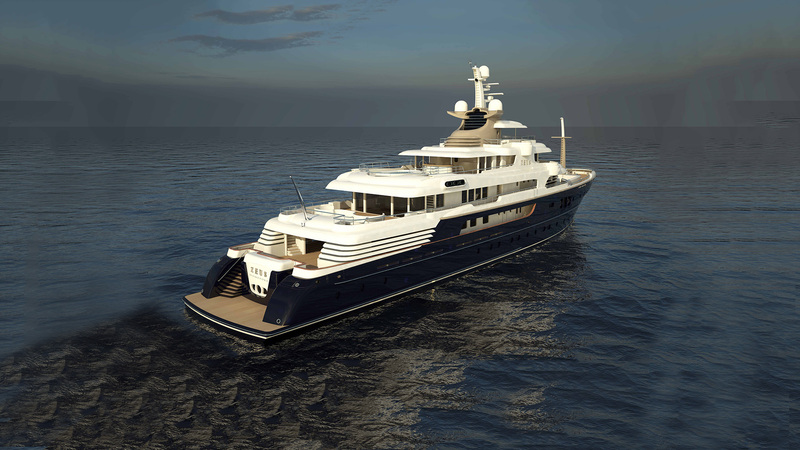 The Flying Bridge has sunlit observation seating, a barbeque for light dining, and small-stuff stowage.